Aggressive Class Minesweeper: Laid down, 15 April 1952 at Wilmington Boat Works Inc., Wilmington, CA; Launched, 30 April 1954; Commissioned USS Prestige (AM-465), 11 September 1954; Reclassified as an Ocean Minesweeper, MSO-465, 7 February 1955. Grounded in Naruto Straits, Inland Sea, Japan 23 August 1958. Abandoned as a total loss.. Specifications: Displacement 630 t.(lt), 755 t.(fl); Length 172'; Beam 35'; Draft 10'; Speed 14 kts; Complement 6 Officers, 74 Enlisted; Armament, as built, one single 40mm gun mount, two .50 cal machine guns, final configuration, bow gun replaced by one twin 20mm gun mount, two .50 cal. machine guns remain; Propulsion, four Packard ID1700 diesel engines, two shafts, two controllable pitch propellers. These new minesweepers were smaller and built primarily of wood , with bronze and stainless (non-magnetic) steel fittings to minimize their magnetic signature. 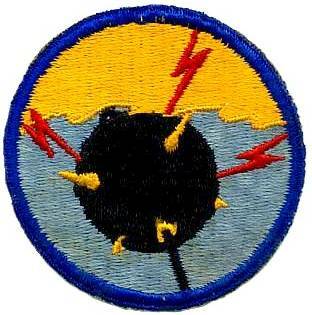 All of the 1950 era MSOs had UQS-1 mine-locating sonar. MSOs were capable of sweeping for moored, bottom contact, magnetic and acoustic mines.